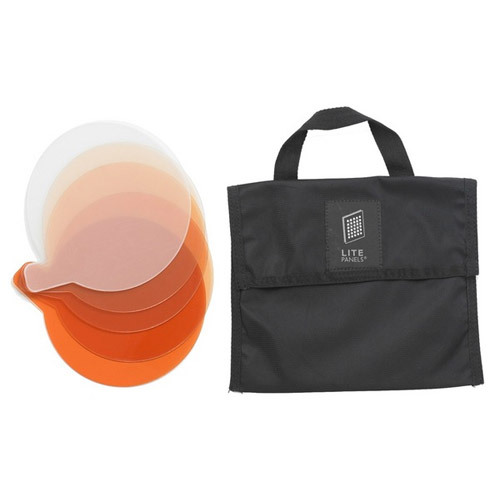 This Litepanels 5 Piece Gel Set for the Sola 6 LED Fresnel light contains a Full, 1/2, 1/4 and 1/8 CTO filter as well as a white diffusion filter. Each amber CTO filter converts the 5600K (daylight) output of the Sola to a warmer color balance for creative effects or to match other fixtures with a warmer (amber) color balance. The gels fits into the filter holder built into the barndoor sets.